Going behind the scenes is a fun way to learn more about something you’re fascinated with or want to learn more about. Our list of tours in the Minneapolis and Saint Paul metro area fits within tour themes of city tours, biking tours, theatre tours, scenic tours, stadium tours, even a gangster tour; plus, a handful of others. There are a lot of unique tours to discover in the Twin Cities! Find a place to stay. Book a hotel today! 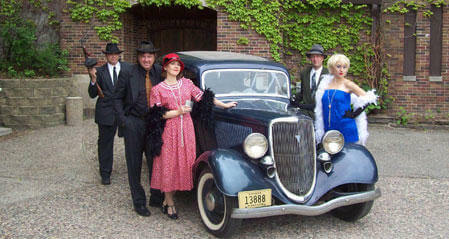 Saint Paul Gangster Tour is the famous crook’s tour with the guide being a nefarious gangster hood or his moll. On the tour explore the sites of nightclubs, kidnappings, and gun battles associated with the 1930’s gangsters like John Dillinger, Ma Barker and Babyface Nelson. See the sights where the gangsters lived it up as they planned and executed some of the most notorious crimes ever perpetrated in the upper Midwest. Travel back in time on a Magical History Tour! Ride a Segway as you enjoy the history of the Minneapolis Riverfront area from 10,000 BC to present without breaking a sweat. 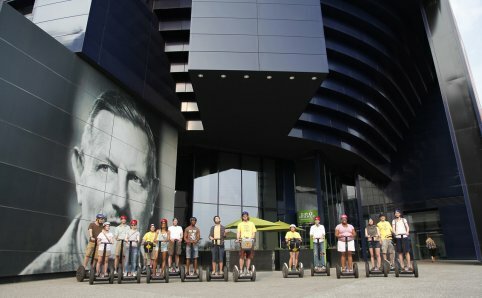 Let the Segway do the work as you cover several miles accompanied by a professional guide. Allow your guide to assist you in experiencing various eras of the river while stopping frequently at historical sites. Target Field is home to MLB’s Minnesota Twins and has become a popular concert venue for touring musicians during the summer months. Spectacular and intimate, breathtaking views, dazzling amenities, and a staggering array of special features! 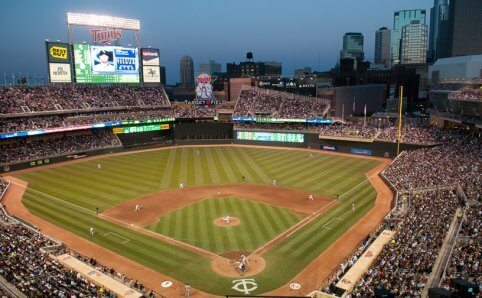 Those are just a few things you can find in your experience at Target Field, the world class home of Twins Territory. 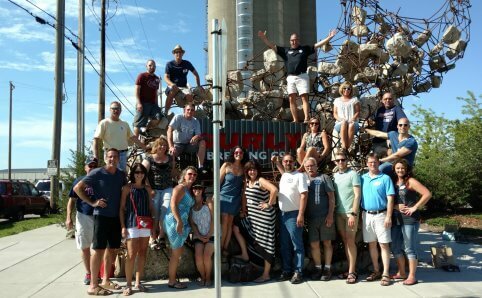 Taste Twin Cities provides all-inclusive tours of local libations and cuisine throughout the greater Twin Cities area. There tours are seasonally updated and varied expeditions are perfect for out-of-town visitors as well as locals looking to gain deeper insights into the flavors of their cities. The Basilica of Saint Mary is a gathering place of rich diversity. It’s a center for the arts and a place of refuge for people in need. 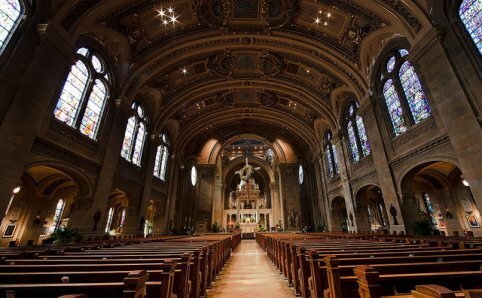 Discover this building’s rich history and marvel at its awe-inspiring art and architecture by taking a tour of the landmark. The Fit Tourist offers guided bike tours around Minneapolis, the Mississippi river and Minnehaha Falls. Regularly scheduled rides are approximately 2 hours and private tours are easily arranged. 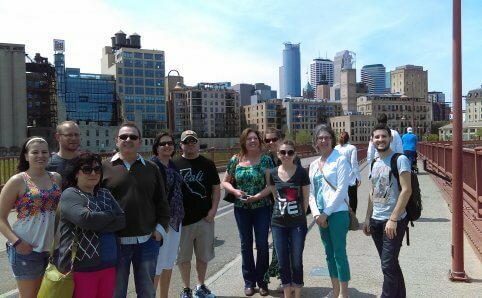 Walking tours around downtown Minneapolis and the Mississippi riverfront are also available. 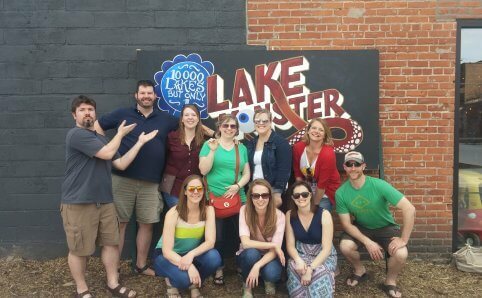 Twin Cities Brewery Tours is the first of its kind in the Twin Cities and they pride themselves on giving you the best craft beer experiences possible. Their tour guides are beer geeks, they love what they do and will give you one hell of a good time. The coach bus tours provide craft beer tasting, a behind the scenes brewery tour, a snack and even a free souvenir. Tours are great for people visiting the Twin Cities as well as locals that want to try that new craft brewery down the street. The next big phenomenon in the drinking world is here and this is your chance to try it first! Hop on a luxury bus for a guided distillery adventure as you tour 3 local Minneapolis distilleries. 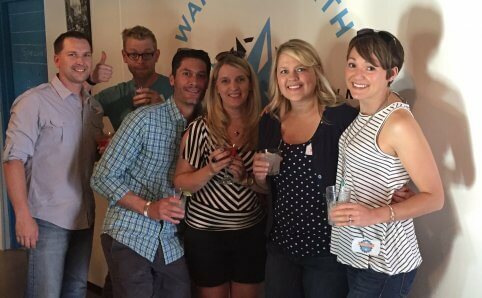 Whether you are by yourself, with a significant other, or with a group of friends; the Twin Cities Distillery Tour is a great way to safely enjoy an afternoon of sampling craft spirits. Specialty tours designed to help you experience all the Twin Cities have to offer. Book your sightseeing tour now. U.S. Bank Stadium is not just a location, but an epicenter of excitement, opportunity, and Minnesota pride. The Vikings are an important part of our proud heritage and the relationship between the Vikings and the citizens of Minnesota runs deep. 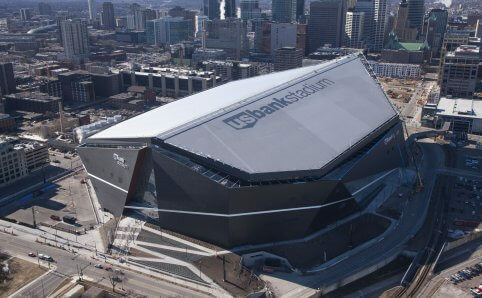 But the stadium is not just the home of the Minnesota Vikings, the facility hosts major national and international events.